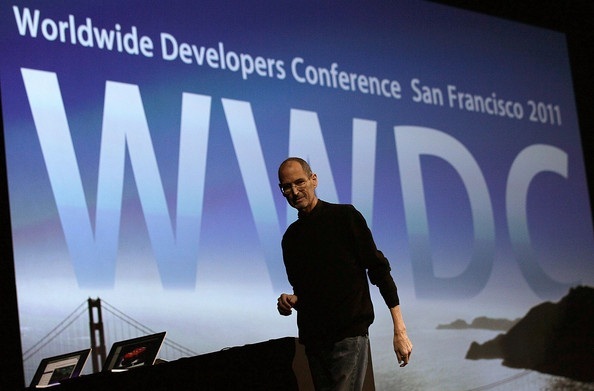 Yesterday at Apple’s annual World Wide Developers Conference (WWDC in San Francisco, California), the upcoming updates to their operating systems as well as some new services for their products were introduced. However before they introduced any of those new software products Apple announced their recent sales accomplishments. 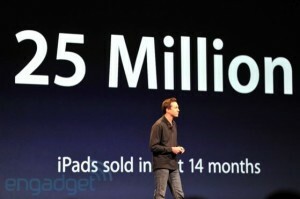 According to Apple Senior Scott Forstall, 25 million iPads have been sold over the past 14 months. To break down that number Apple sold 87,000 iPads for every day in those 14 months. Forstall also mentioned that the App Store holds over 90,000 iPad specific applications by now. Famed financial analyst Gene Munster of Piper Jaffray estimates that Apple sold almost 8 million iPads this quarter (Q2 2011). In the first quarter of this years financial cycle Apple reported they had sold about 4.69 million iPads after production delays handicapped iPad 2 sales. When the iPad 2 was released by Apple back in March this year. Though the demand far exceeded supply, long delays ensued. When production started to get better last month there was big explosion at the iPad factory at Foxconn which slowed production and cost the lives of three people –Foxconn is the company that puts iPads together and build select components for the tablet–. 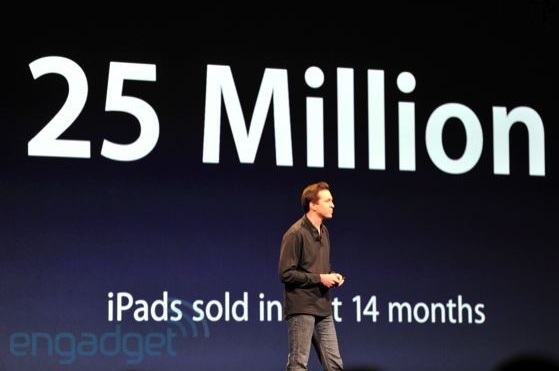 Without the tightened Apple iPad 2 supply the 25 million figure would have been surpassed by a few million or more within the 14 month time period. Until this fall Apple plans to release a major update (iOS5) for the latest Apple products including the Apple Ipad 1 and 2, iPod Touch 3rd and 4th generation and for the iPhone 3GS. When iOS5 will be released the iPad will get a brand new notification system, an updated Mobile Safari browser that adds tabbed browsing and over 200 other new features (iOS5 features). However one of the most important features coming with iOS 5 is iCloud integration. Apple iCloud is a new cloud based service that can store your content and wirelessly send it to multipl iOS5-devices like the iPad 1 and iPad 2. The process of syncing files between your iPod/iPhone and your iPad will be simplified with iCloud, and the service will be free* (*less than 5,000 songs can be saved for free, after that you will have to pay $24.99 every year to store the files on iCloud). The current iPad, the Apple iPad 2, is available for purchase in 16GB/32GB/64GB Wi-Fi only and Wi-Fi + 3G configurations on store.apple.com/ipad. The tablet is offered with a start price of $499 –just like the first generation model– and current wait times are 1-2 week for order shipments. In iPad 2 Apple kept the 9.7-inch IPS 1024×768 display and 10 hours plus battery life from the first generation but added more features. The new iPad has a more powerful dual-core 1 GHz Apple A5 processing chip, dual cameras (VGA res. front; 720p HD res. rear), a slimmer design and the option for Black or White colors.